The Christians who idolise the modern state of Israel often forget to ask an important question: how will Israel be saved? After all, a piece of a Promised Land won’t help an Israeli—or a Palestinian—to gain salvation in eternity. And paradoxically, the very Christians who seek to “protect” Israel the loudest, often discourage other Christians talking to the Jews about Jesus. But the Book of Zechariah gives us a prophetic glimpse of the time when the Holy Spirit will be poured on Israel, and many Jews will accept Jesus as their Saviour. The inherent problem with every dominionist worldview, including the modern-day Zionism that elevates a nation above God, is that one day, we will all have to die, and after that our possessions—or land—will matter very little. But we have come up with the gospel that is very unconcerned of time after death, but obsessed with life before death, and this has become a breeding ground for all sorts of heresies, as we want heaven now, and not later. For the apostle Paul, who was a Jew, the salvation of the Jews was one of the greatest goals, as he didn’t believe that the Jews would be saved automatically. The apostle Paul by no means taught replacement theology, but he was afraid that his own nation would lose God’s greatest gift to them—eternal salvation. Hear me right—the land of Israel is not God’s greatest gift to Israel. God’s greatest gift to Israel—and Palestine—is Jesus. And unless we understand that, our understanding of what God is actually doing in the Middle East will always be based on error. 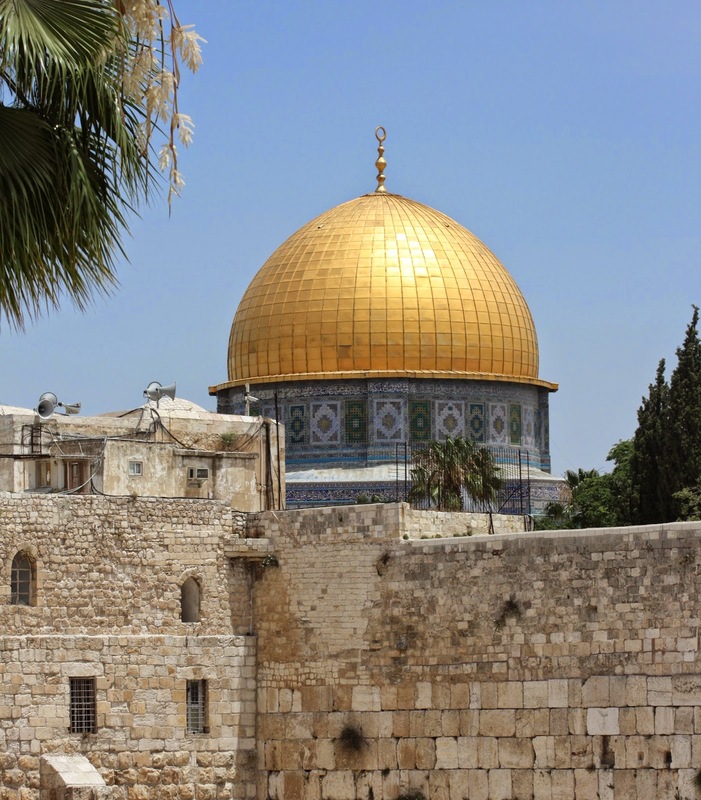 I believe that the next fifty years will see a mass-scale return of the Arabic people in the Middle East to Jesus—the Middle East was Christian for centuries, after all—as God will make Israel jealous through the Arabs. And that will be such a wonder in the eyes of the Jews in Israel, that many of them will give their lives to Jesus—enough in numbers to fulfil a significant Old Testament prophecy. It might not look like that right now—but it will happen! In Romans 9-11 the apostle Paul lays out his understanding about the salvation of the Jews, and below are the three chapters in their entirety. I say then, have they stumbled that they should fall? Certainly not! But through their fall, to provoke them to jealousy, salvation has come to the Gentiles. Now if their fall is riches for the world, and their failure riches for the Gentiles, how much more their fullness! For I speak to you Gentiles; inasmuch as I am an apostle to the Gentiles, I magnify my ministry, if by any means I may provoke to jealousy those who are my flesh and save some of them. For if their being cast away is the reconciling of the world, what will their acceptance be but life from the dead? So, the apostle Paul’s view is that God loves Israel, and that all the promises God has given to Israel are still valid, but the Israelis aren’t saved unless they accept Jesus. And paradoxically, some of the loudest supporters of the modern state of Israel, such as John Hagee, actively discourage Christians from evangelising the Jews. According to John Hagee, for example, the Jews don’t really need the New Covenant, as the Old Covenant is good enough for their salvation. Now let me ask you—do you believe the apostle Paul, or John Hagee? I believe the apostle Paul. And another great paradox of our time is that many of the people who talk about believing in the Bible the loudest seem to read it the least! If the apostle Paul says that the Jews need salvation, I take it as God’s Word. And if they need salvation, it means that the “helpers” of Israel like John Hagee in fact end up destroying the eternal Israel, as because of them, millions of Christians travel to the “Holy” Land, but hardly anyone is bothered about the eternal salvation of the Jews. And because they “love” the Jews so much, they hate their enemies, and hence not many Christians give a damn about the eternal salvation of their enemies either—the Arabs. But the Arabs also are another chosen people of the Old Testament, and God has many promises for them as well! I believe that God will be bringing many Jews to Jesus after mass conversion of the Arabs that will be taking place during the next 50 years. In my previous blog post Is there hope for the Middle East? I wrote about the move of God that is slowly beginning in the Middle East. Right now, it is hidden by the violence and Satan’s attempt to kill the generation that is destined to bring it forth, much like he tried to kill Moses and Jesus by killing a whole generation of babies. But Satan won’t succeed. We can see a prophetic promise of Israel finding Jesus in Zechariah 12:10 where the prophet foresees a time when the Jews will accept Jesus as their Saviour as a nation. Most prophetic books in the Bible, including the Book of Zechariah are a series of prophecies, dreams and visions that often cover the same events again and again, as God talks about the same issues repeatedly from different perspectives. So, the prophecy or vision that follows the first one might not refer to a new event, but it might look at the same event from a different perspective. All this might be confusing, but if you read read the texts carefully, they will become clear. For example, the Book of Zechariah was written around the time when the temple was being rebuilt after returning from the exile in Babylon, so it seeks to encourage the contemporary hearers, but it also speaks about the first and second coming of Jesus, and about yet another return of the Jews to the Promised Land in the end times. What many readers miss it that it also tells about many events between these key events. But thankfully, the Book of Zechariah is surprisingly clear about the chronological order of events. So, the chapter 12 that prophesies that one day the Israelis will accept Jesus as their Saviour begins with predicting that in the end times Israel will again be inhabited by the Jews, and they will govern Jerusalem. What is striking is that the prophet Zechariah defines Israel through a fairly small piece of land—Jerusalem. It doesn’t look like Israel would be governing any large territories at the time. But God will protect Jerusalem against the nations—and it is at this time that God will pour His Holy Spirit on Israel, and they will look on Jesus who they pierced. Now slow down. What causes this turning to Jesus? It is not the second coming of Jesus, but the outpouring of the Holy Spirit! This is the time when large part of Israel will receive the Holy Spirit but Jesus is yet to return. It is in the next chapter, in Zechariah 14 when the nations will yet again gather against Israel, and Jesus will return with the saints. "And in that day His feet will stand on the Mount of Olives, which faces Jerusalem on the east. And the Mount of Olives shall be split in two, from east to west, making a very large valley; half of the mountain shall move toward the north and half of it toward the south. Then you shall flee through My mountain valley, for the mountain valley shall reach to Azal. So, according to the prophet Zechariah, the Jews will return to Israel in the end times, God will protect her against the nations, the Holy Spirit will be poured on Israel and the Jews will find Jesus in great numbers, and then the nations will gather against Israel again, and then Jesus will return with all the saints! What are you praying for when you pray for Israel? I am praying for the salvation of the Jews and the Arabs, and for peace between them, as according to many prophets in the Old Testament, they will one day worship God together.